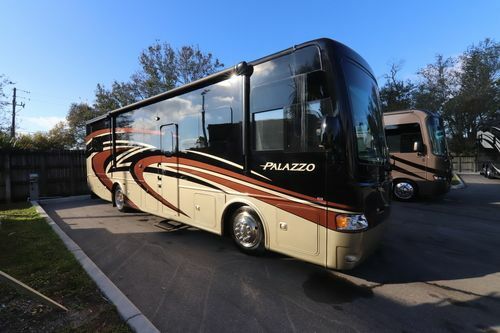 Thor Palazzo Class A Diesel Motorhome for sale Florida. Water heater bypass system and much more! 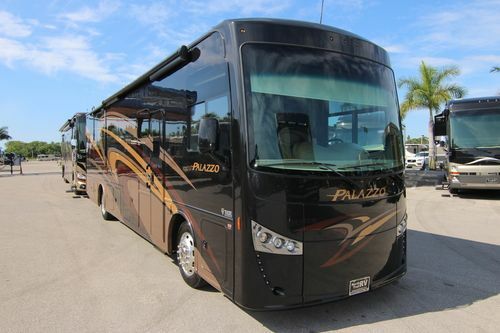 This is a partial list of 2018 Thor Palazzo motorhome features and options. 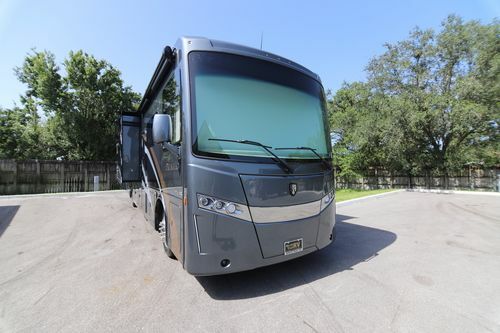 For a complete and exact list of standard features and options please call us and ask to speak to a North Trail RV Motorhome Sales Consultant. North Trail RV Center is not responsible for any errors or omissions listed here. 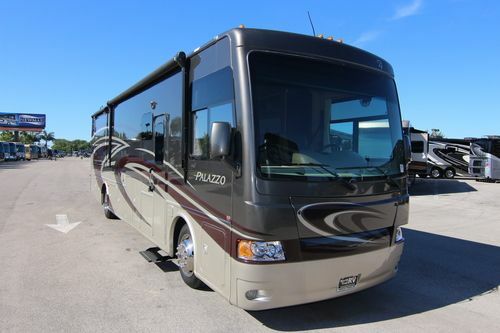 The following floor plans are available for the 2018 Thor Palazzo diesel pusher motorhome 33.2, 33.3, 36.1 and 36.3.